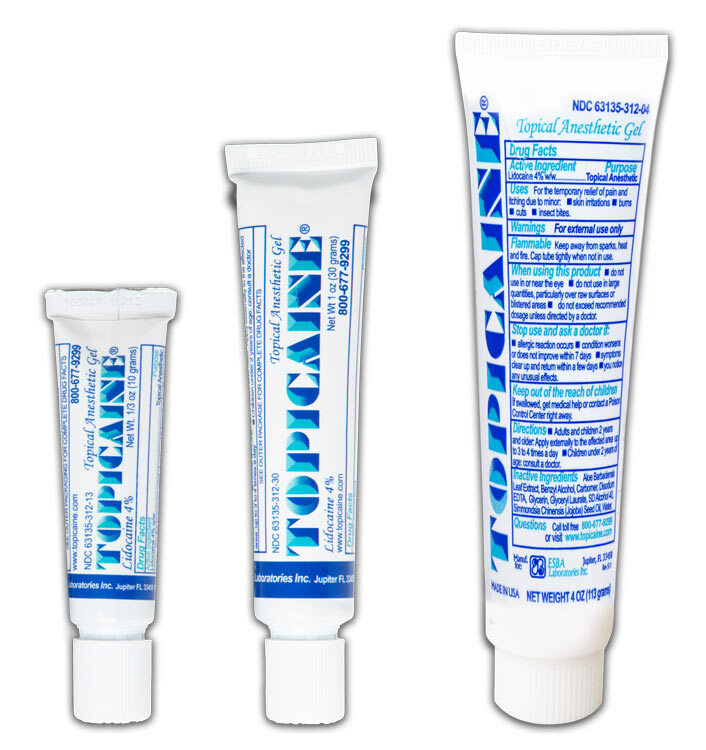 Topicaine 4% clinically proven skin numbing gel. Topical anesthetic with lidocaine 4%. Prevent pain from tattooing, laser hair removal, electrolysis, waxing, permanent make up and more! Fast Onset of Numbing Action: starts working in 5-10 minutes. Maximum Numbness: achieved at 30-60 minutes depending on the area, doctor tested and proven in independent clinical studies. 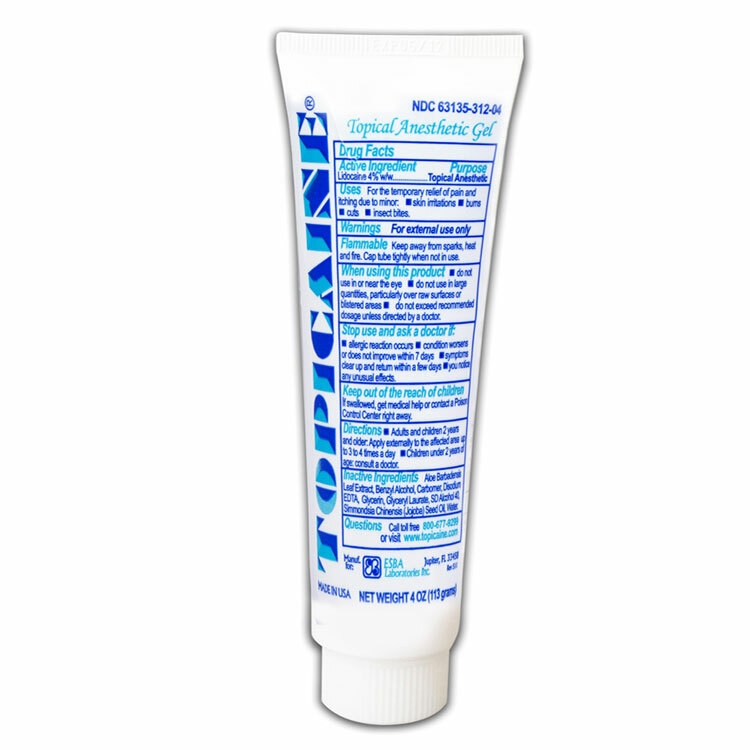 Long-Lasting Relief: the skin remains numb for approximately double the application time. Clear, Non-Oily Gel: very discreet, apply in advance of procedures (does not show white on the skin like competitor’s), easy clean up. Many Uses: great to use for tattoos, tattoo removal, electrolysis, waxing, permanent make up, minor medical procedures, skin rashes, kids vaccines, microneedling, microblading, insect bites, itching and more! Tattoo-Friendly: does not interfere with the inks and helps the application process a lot more comfortable. Available in 3 sizes : 1/3 Oz (10 g), 1 Oz (30 g) and 4 Oz (113 g). In tubes with child-resistant caps. Pharmacist Developed and Made in USA for a product you can trust since 1996!